If you're looking for real estate in Por Sen Chey, you are sure to be able to find exactly what you want due to the district’s size and diversity. No matter what type of landscape or lifestyle you want, Por Sen Chey can offer it all; from a secluded, relaxed and beautiful corner of the district where your dream family villa is hiding, to downtown sections surrounded by bustling markets and nightlife options. If you've decided that you want to buy a villa in Por Sen Chey, you first need to know the right place to look. Luckily, you have come to best property portal in Cambodia: the best place to start any real estate mission! 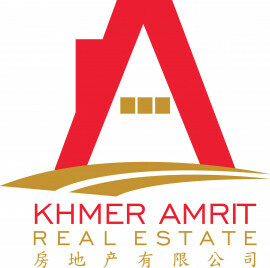 Realestate.com.kh has thousands of listings for properties for sale all over Por Sen Chey to get you started. Just find the real estate search engine at the top of the site and enter in all of your real estate criteria, including your price range, number of bedrooms, etc. You can even enter in what part of Por Sen Chey you want to search in and you'll automatically receive listings of all the places that suit your needs. Finding villas for sale in Por Sen Chey is as easy as the click of a mouse. Check out some great resources on Realestate.com.kh in our Location Profiles and Investor Guides: Learn more about Cambodia, Phnom Penh, Siem Reap & Sihanoukville. Learn more about Investing in Cambodia, Foreign Ownership in Cambodia & the Cambodian Expat Experience!